Gal Gadot portrays Diana Prince a.k.a Wonder Woman in the Wonder Woman, Justice League and Batman v Superman movies. The Wonder Woman 2017 movie takes us back to the origins of the superhero: the amazon princess leaves her island home to explore the world and, in doing so, becomes the Wonder Woman we all know. Princess Diana, interpreted by Gal Gadot is the daughter of Queen Hippolyta, Queen of the Amazons, who molded her out of clay and used magic to bring her to life. A special tournament took place on which Amazon would renounce her immortality and go to Man's World to fight crime. Queen Hippolyta didn't want Diana to take part in the tournament because she wanted her to stay on Paradise Island and stay immortal, but her daughter put on a disguise so she could enter the tournament without her mother's knowledge. After the tournament, Diana revealed her identity and her mother was forced to let her go. As Wonder Woman, she's wiser than Athena, more beautiful than Aphrodite, stronger than Hercules, and faster than Mercury. She flies an invisible plane and can jump great heights. Her bracelets are indestructible and her magic lasso hypnotizes people into telling the truth. 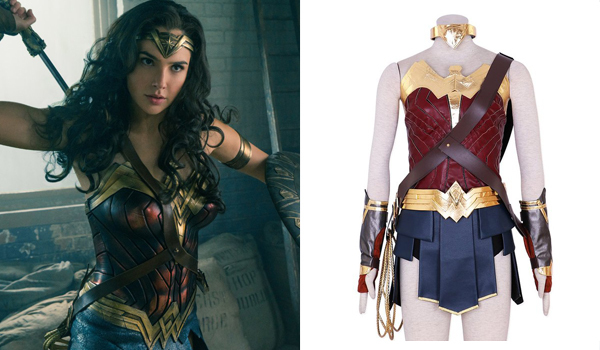 The outfit that Gal Godat wears in Wonder Woman for her Wonder Woman role is a custom made costume made by costume designer Lindy Hemming. You have three options to get yourself a replica: make your own, buy a cheap costume or get yourself a quality outfit. We regrouped all the materials and tools you'll need in the button below. 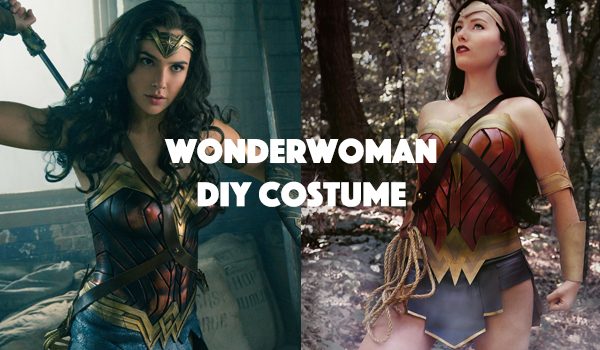 You might be looking for a quick and cheap costume, or if you are more serious about cosplay, one of better quality and with a great finish so we selected the best money can buy for each case.